Setting up VPN is an important part of you security on the web. With so many people having to do their work on mobile devices, it becomes imperative to ensure that the Internet connection is secure. But you don’t have much control when you are on the go. This is where; having a VPN service comes handy. The whole point of using a VPN service is to give you an extra shield of protection against all the problems that Internet is filled. Among other things, there is the problem of having unnecessary people looming over your Internet traffic, not to mention the flurry of problems which you can end up having from accidentally downloading something which shouldn’t be downloaded. 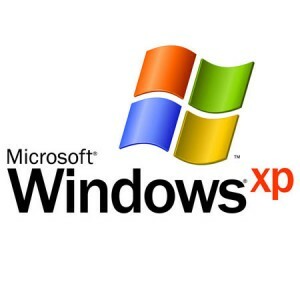 Although Windows XP is fairly outdated now, there are still netbooks which run Windows XP. So for them, it might be needed to setup an OpenVPN connection. Before we start the setup, it should be noted that some of you might have firewall restriction. You should ensure that the UDP port 1194 is not blocked. OpenVPN’s official website has a link for the OpenVPN client that needs to be used to setup the OpenVPN connection. Download the software and then install. The installation process is very simple, just like scores of other software you have installed in the past. Just go through the process by choosing the default options. The best part about setting up an OpenVPN connection is that, you don’t have to take care of the configuration settings. You have to download the configuration file for OpenVPN for Windows XP, from your VPN service provider. Unzip it and place the contents of the folder into configfolder of the installation. After you have completed the configuration step, you need to start the OpenVPN program. You would see an extra icon, appear in the taskbar. Right click the icon and choose the service you want to connect to. You would need to enter the username and password to make the final connection. The establishment of connection is the final step you would see. To check that you are really connected through the VPN service, simply check your IP. You should see an IP from another region, depending on where you have connected to.